Irving Berlin’s classic Christmas musical comes to the Dominion this winter, based on the Bing Crosby film of the same name. The show transfers from the Leicester Curve, where it played last Christmas to great reviews. The production sees Danny Mac (Sunset Boulevard) and Dan Burton (Gypsy) reprise their roles as Bob and Phil. Further casting is to be announced. Following the same plot of the 1954 film, we meet two soldiers at the end of the war – Bob and Phil – who decide to team up and become a performing duo. The pair begin to become successful, performing in nightclubs, on radio, and even on Broadway. Phil is concerned that Bob is yet to fall in love and meet the girl of his dreams, but all that changes when the duo team up with two performing sisters: Betty and Judy. Phil and Judy hit it off immediately, but Bob and Betty run a little more hot and cold. The production is directed by Leicester Curve artistic director Nikolai Foster and choreographed by two-time Olivier Award winner Stephen Mear (Mary Poppins, Gypsy). White Christmas includes plenty of fantastic songs, including many Irving Berlin’s classics lifted straight from the film: ‘Sisters’, ‘Happy Holiday’, and of course, ‘White Christmas’. Filled with song and dance, gorgeous costumes, and plenty of romance and festive cheer, White Christmas is set to be the perfect show for the whole family. 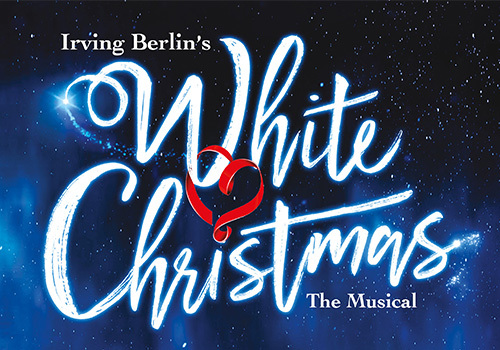 White Christmas runs at the Dominion Theatre, London, from November 15th – January 4th. This timeless musical comedy is suitable for all ages! Children under the age of 4 are not permitted into the theatre.